Happy Valentine’s Day from The Celiac Pack! One of our favorite birthday cakes or holiday cakes are cookie cakes. When Judy was little, she loved seeing the giant cookies in the mall. 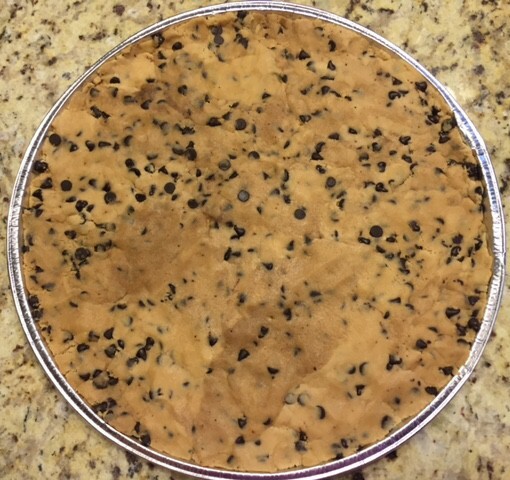 With the help of Pillsbury’s gluten-free premade chocolate chip cookie dough, I can bring that magic back to our birthday and holiday celebrations. It is super easy and tasty. 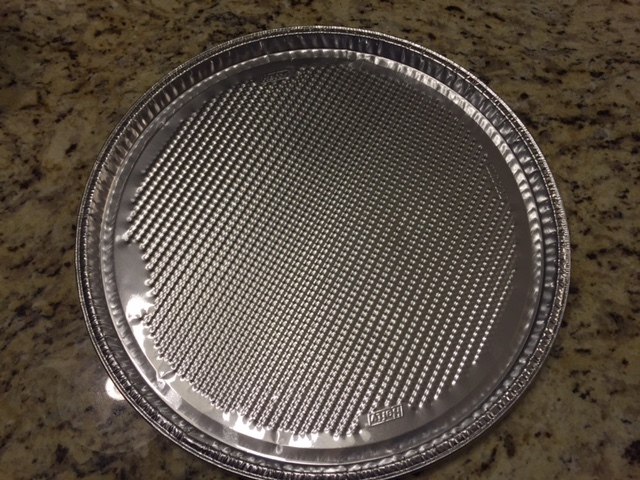 I typically buy disposable aluminum pizza pans so I can leave the cookie cake at the party and not need my pizza pan returned to me. I always buy 2 containers of the gluten-free cookie dough and I use 1 tub and 2/3 of the additional tub. I press it down so it is smooth in the pan. I bake it as directed but normally add about 5 minutes; I just watch it to make sure it is golden brown and not burning. It will all depend on how fast your oven bakes. 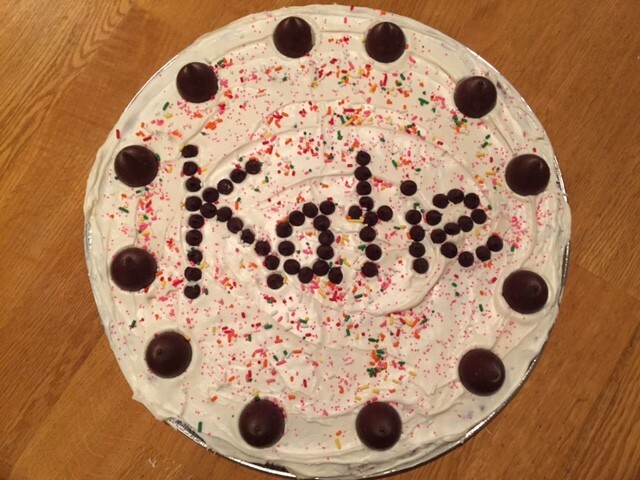 When the cookie is cool, I frost it and decorate it just like a cake. We normally serve it with ice cream on the side. This is easy and always a big hit! 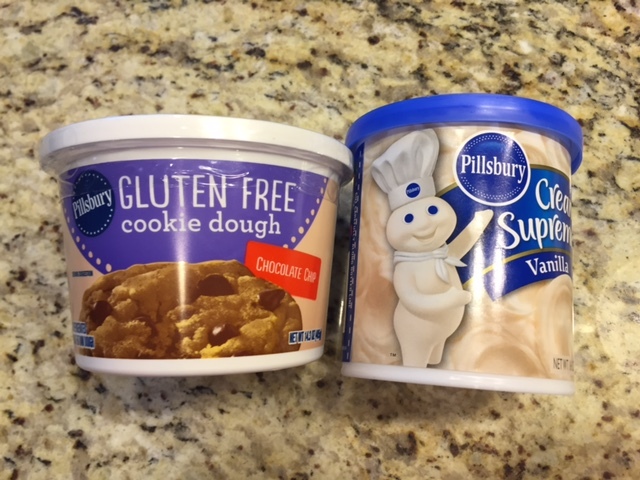 Pillsbury sells this premade dough in the refrigerated section at the grocery store. 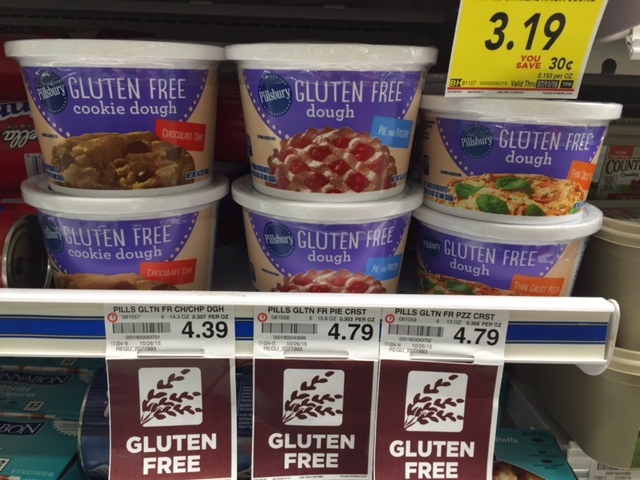 They also make premade gluten-free pizza dough and pie crust, however I have not tried those yet. 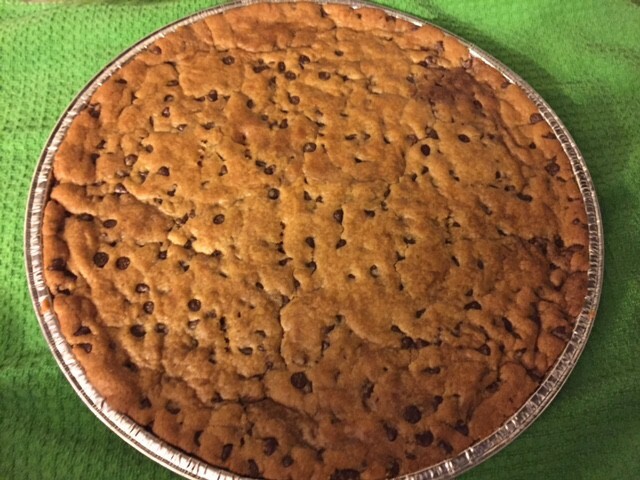 I love when my mom makes these big cookies. They are delicious! I am so glad we found this cookie dough and my mom makes it into a cookie cake. 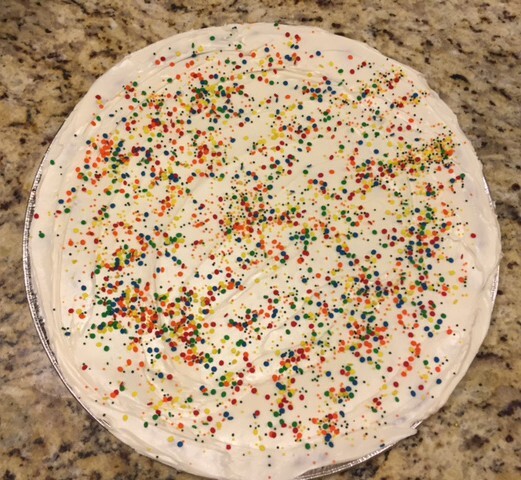 It is so fun to decorate the cake too! 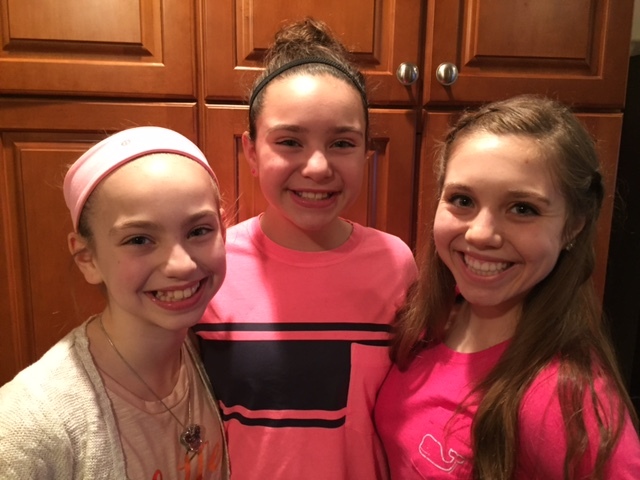 This entry was posted in Daily GF Living. Bookmark the permalink.